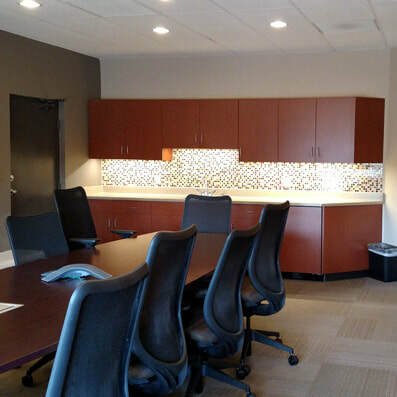 Kittle Design and Construction is adept at bringing a client's commercial design/build project to reality efficiently, cost-effectively, and quickly. The Kittle team and its design consultants add value to a construction project when they are involved at the beginning to simultaneously design and provide construction details and cost information. Kittle coordinates the process so that building owners have one of our project managers overseeing all aspects of their project. It is an efficient, cost-effective, and accelerated way to get projects built. 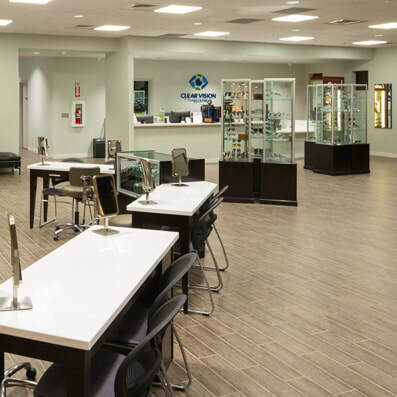 This is a full-service center for optical exams, selection of frames and lenses, and an on-site laboratory for preparing lenses and frames. 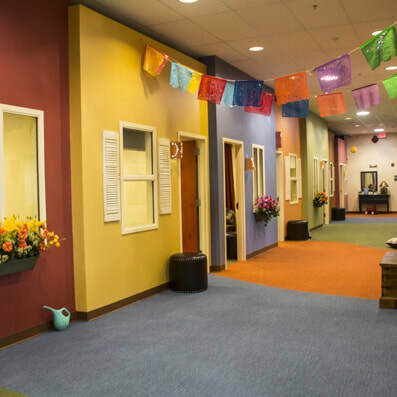 The project was a complete remodel of the space, including new air conditioners. Kittle recommended and hired the architect to create a design that complies with the owner’s specifications and the lab manager’s equipment requirements. Aviva Children’s Services provides a range of services to help heal families, including providing facilities for supervised visits between children that have been removed from homes and their parents. For our third project with this owner, we hired the architect and worked closely with Aviva to ensure that the facility felt inviting and non-institutional. We completely renovated the former 7,430 sf warehouse to include sound-resistant visitation rooms, play areas, a prep kitchen and dining area, offices, and a new fire sprinkler system. The floor plan was designed to create an interior ‘street’ to further the sense of community for the building users. We carefully balanced materials and costs to ensure that the owner’s goals were achieved. This building was due for new finishes, lighting, and minor modifications to make it more energy efficient and consistent with Northwest Fire District building standards. We hired the architect and interior designer for this project, and worked with Northwest Fire District to create an optimal floor plan with minimal disruption of the existing construction. To accommodate personnel working on the premises, we worked in phases and off-hours as needed. Together with our suppliers, we proposed options for lighting, flooring, tile, and countertops to obtain attractive and durable materials within the budget.